hand lettered menu with cute bunny!! 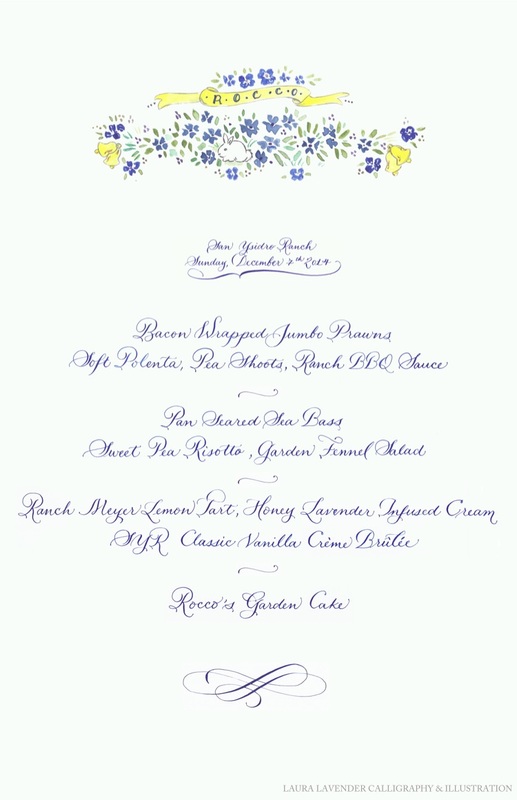 Here is a menu I created for an early December baby shower at San Ysidro Ranch, California. I did the calligraphy using a pointed pen and gouache on bond paper, and the illustration with gouache and ink. The finished piece was scanned at high resolution for printing.